The continued growth in electric vehicle (EV) adoption has led state regulators to pay more attention to business models and rate designs that facilitate wider availability of charging infrastructure. 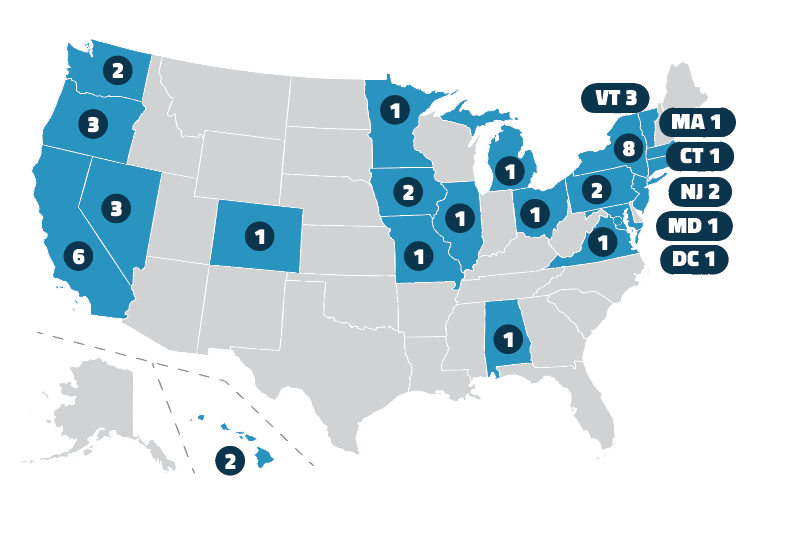 Most recently, Pennsylvania took a big step towards innovative and dynamic pricing by clarifying that third party EV charging is not considered resale or redistribution of power. California is considering a utility proposal to replace demand charges with new subscription pricing, allowing customers to select the required amount of power for their stations. New York is analyzing the characteristics of charging systems to foster EV participation as a distributed resource. Iowa is examining business models for EV charging, while Illinois is exploring rate structures and charging practices to guide efficient integration of electric vehicles. The Public Utilities Commission of Ohio established the PowerForward Collaborative, a utility workgroup charged with monitoring the marketplace to propel the state along its roadmap of grid modernization. The collaborative will examine issues related to electric vehicles and deployment of non-wires alternatives. In addition, its two workgroups will consider integrated distribution planning and data access issues associated with grid modernization. The PowerForward roadmap aims to create a regulatory paradigm that will allow innovation to reach all customers. The plan envisions the modern grid as an open-access platform that helps applications interface seamlessly as they evolve and a marketplace that advances organically, allowing customers to buy innovative products and services from entities of their choice. PJM Interconnection LLC is at the crossroads for capacity market reforms as participation of sources receiving out-of-market state revenues continues to grow. 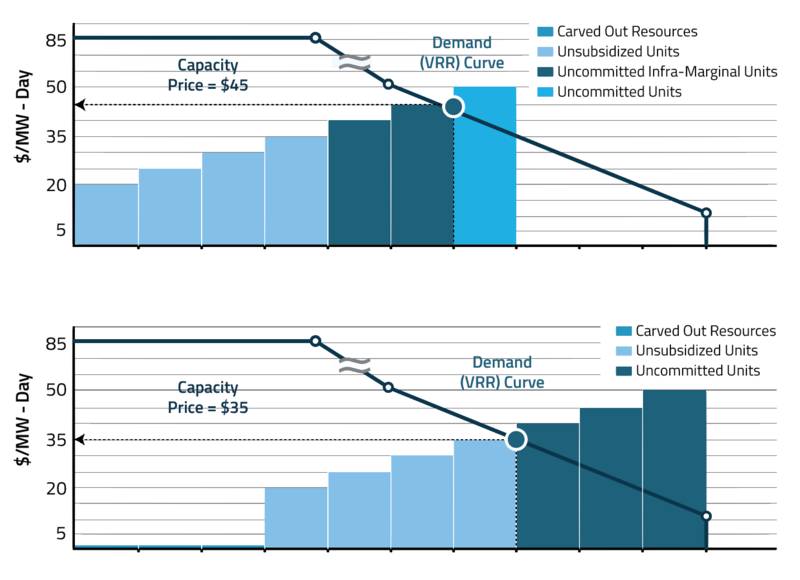 Significant debate around the issue of price suppression from subsidized resources culminated in the Federal Energy Regulatory Commission's invalidation of PJM’s capacity market rules. Several states have opposed the premise arguing that the threat from subsidies is overstated and sweeping changes would unlawfully intrude on state energy policies. Following the FERC directive which rejected PJM’s changes proposed in April, the grid operator on Oct. 2 unveiled a plan which would address price distortion while advancing state policy interests. 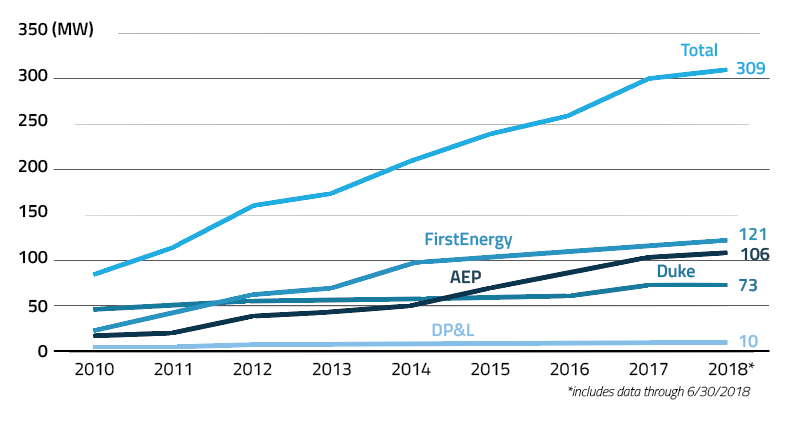 The U.S. shale revolution which kicked off a decade ago ushered in a new era for natural gas which has reshaped the power grid overtaking coal as the dominant source of electricity generation and established a thriving market for liquefied natural gas exports. 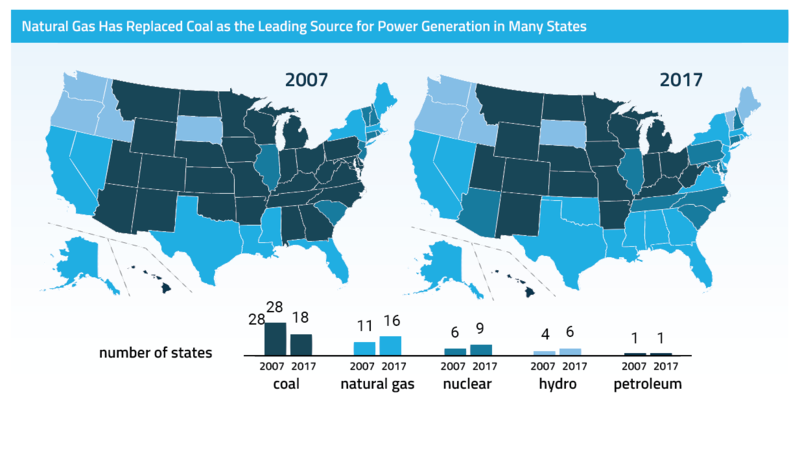 The U.S. has remained the world's top producer of natural gas since 2009, and natural gas accounts for a third of all U.S. electricity generation. Last year, the U.S. became a net natural gas exporter for the first time in almost 60 years. The trend is expected to continue with growing production, increasing export capacity, and expanding gas infrastructure.